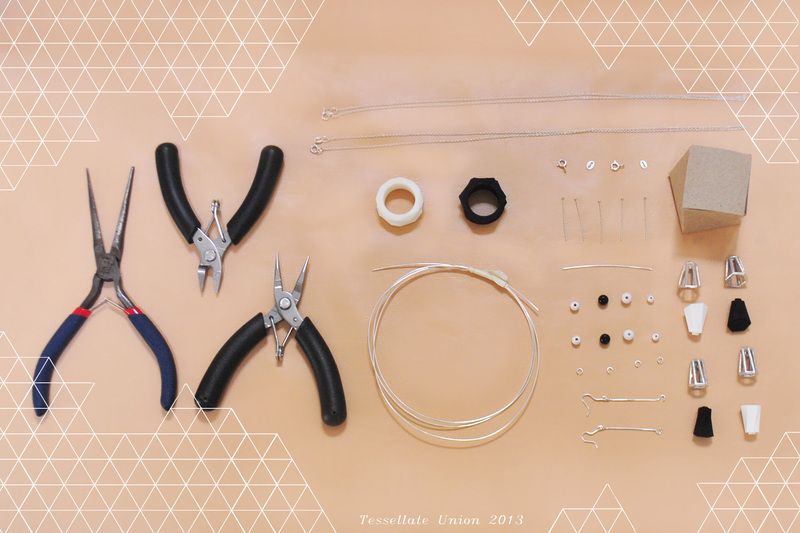 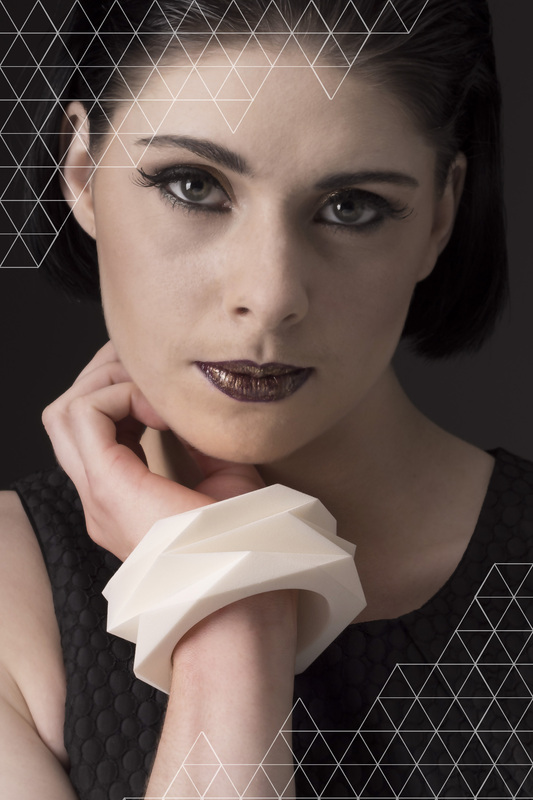 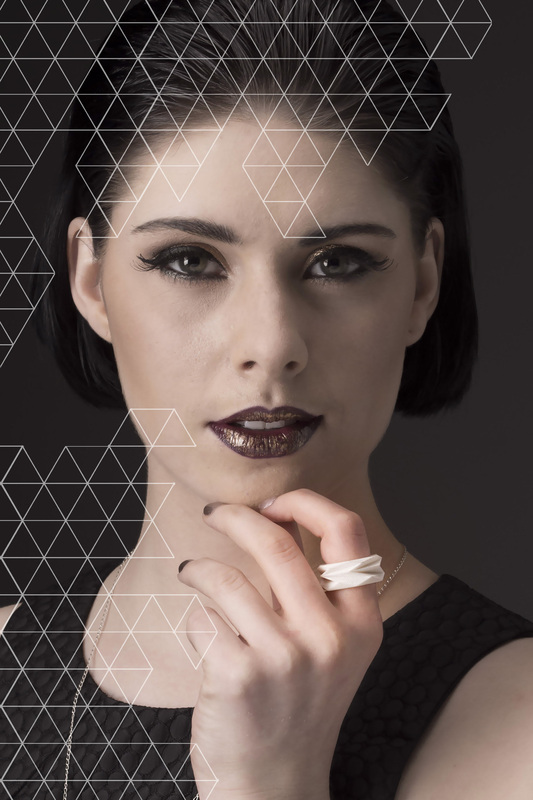 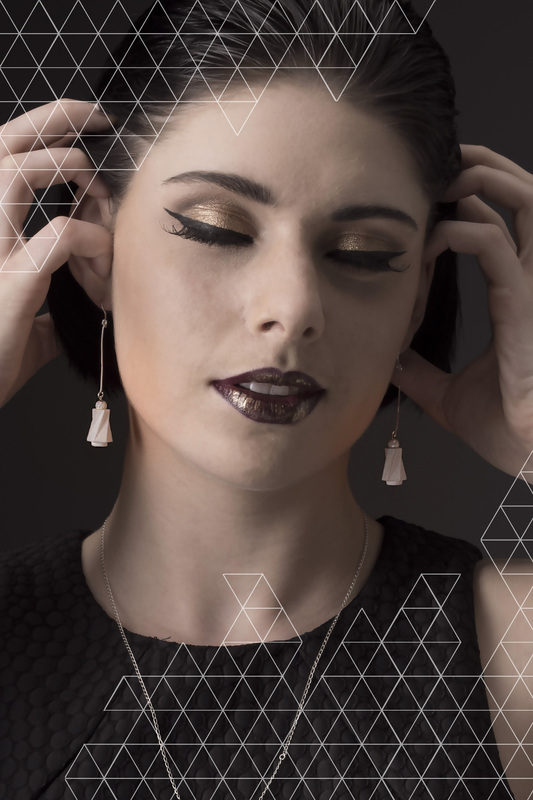 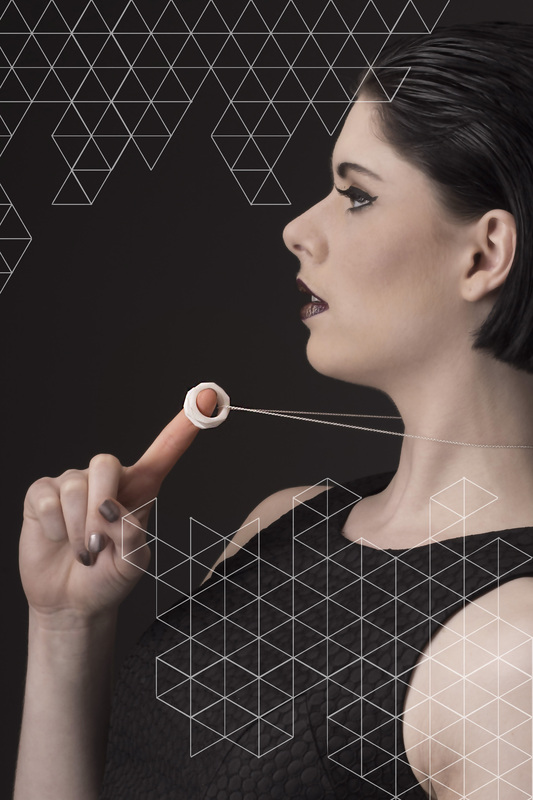 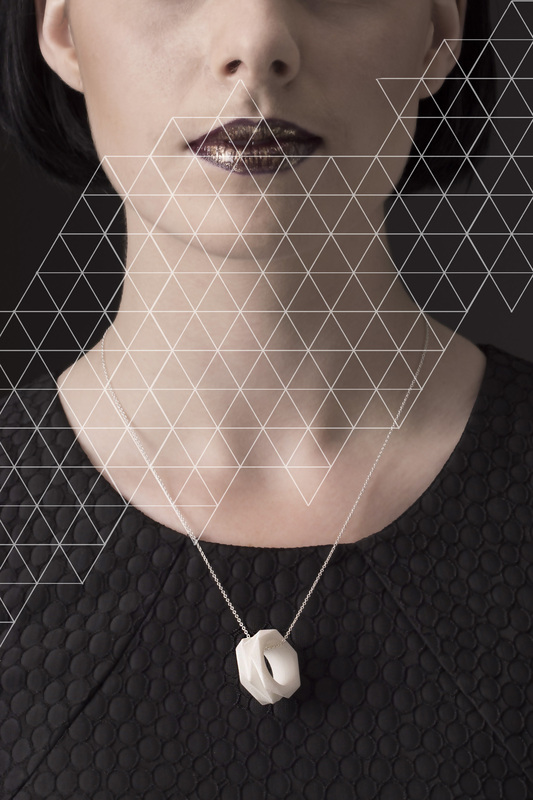 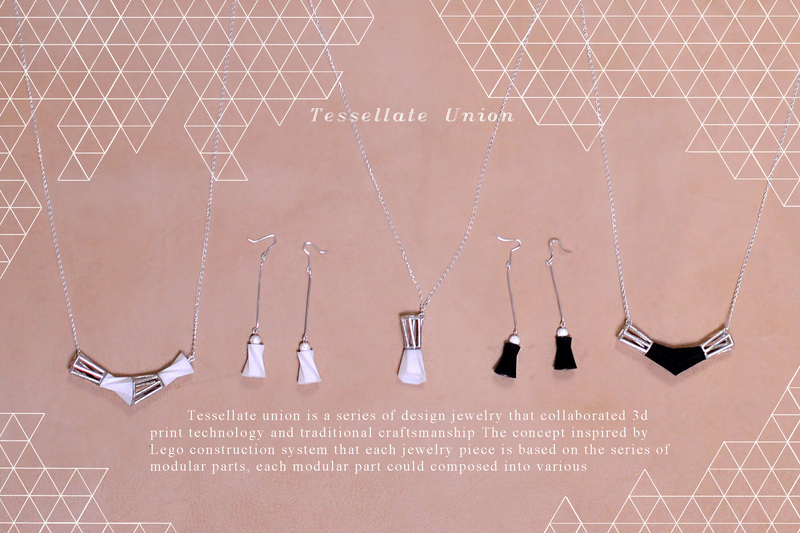 Tessellate union is a series of design jewelry that collaborated 3d print technology and traditional craftsmanship.The jewelry range involved clean line work and geometric form to celebrate the innovation of contemporary jewelry design. 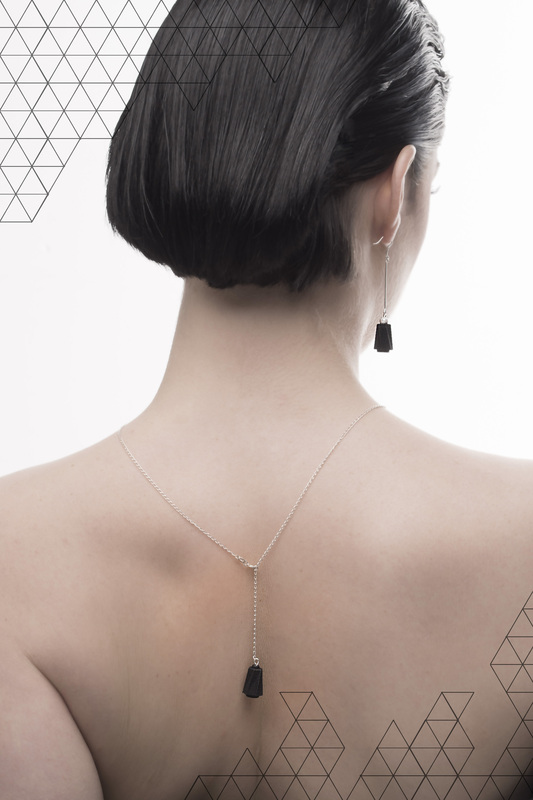 The concept inspired by Lego construction system that each jewelry piece is based on the series of modular parts, each modular part could composed into various combination, therefor become a range of design jewelry. 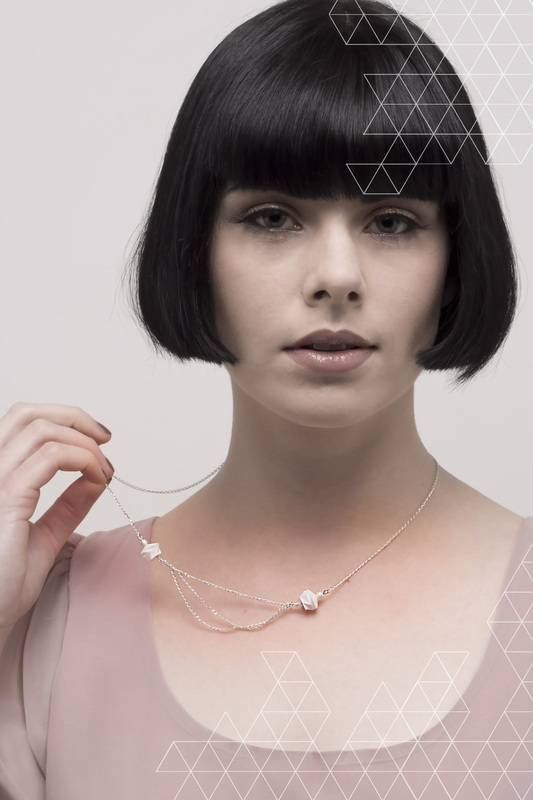 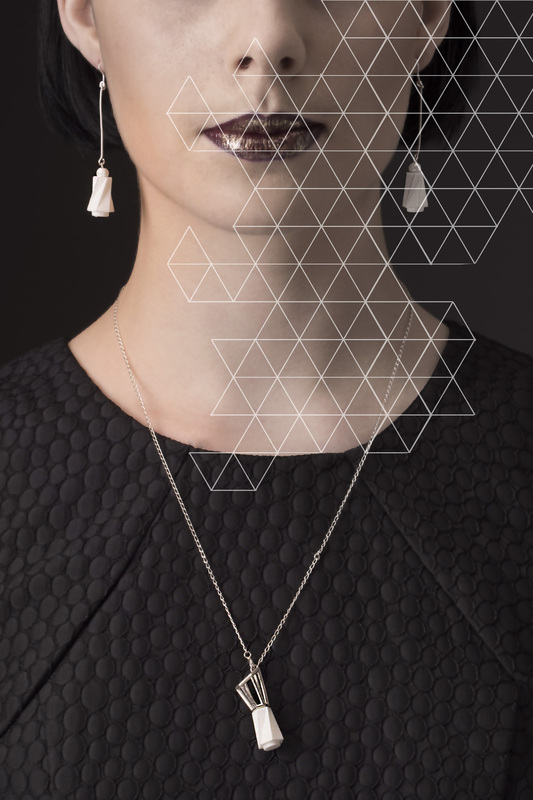 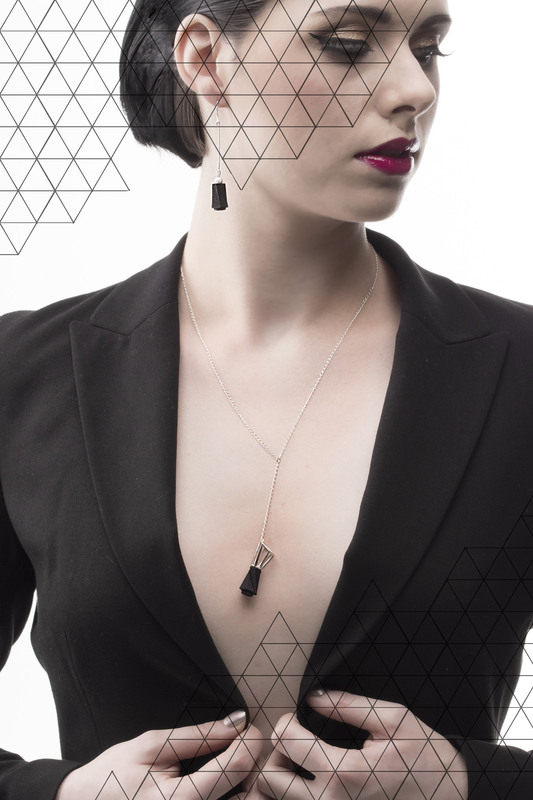 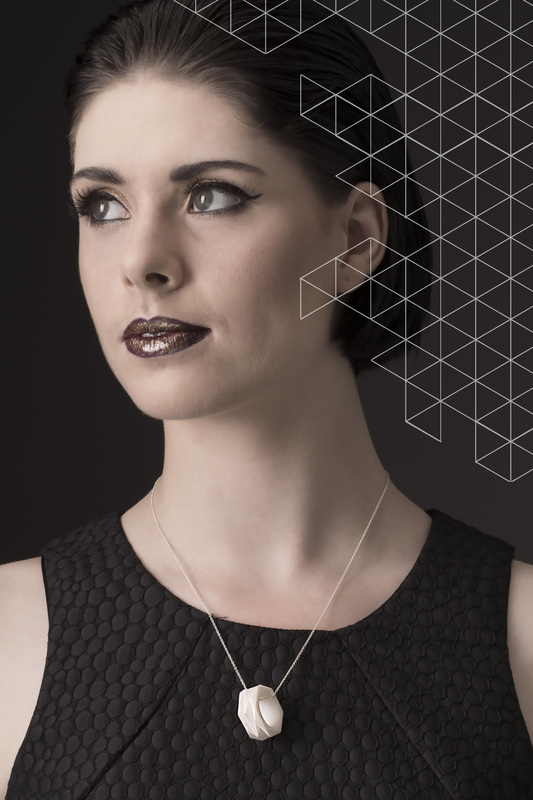 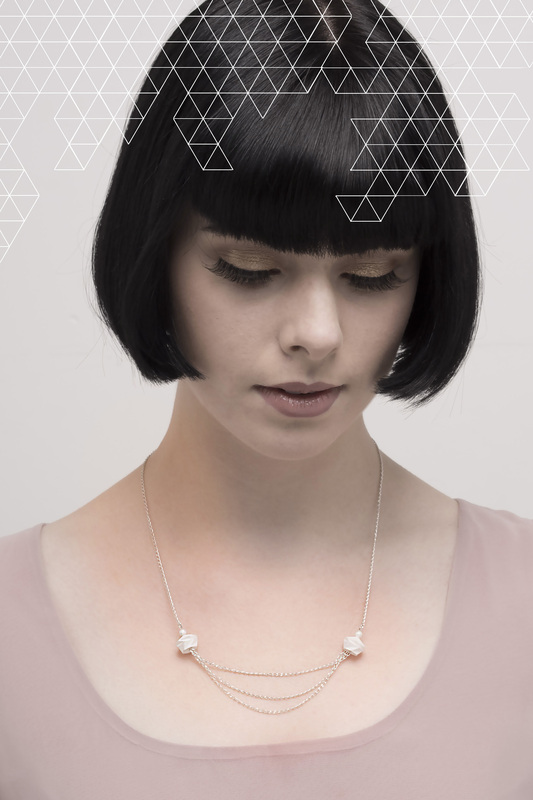 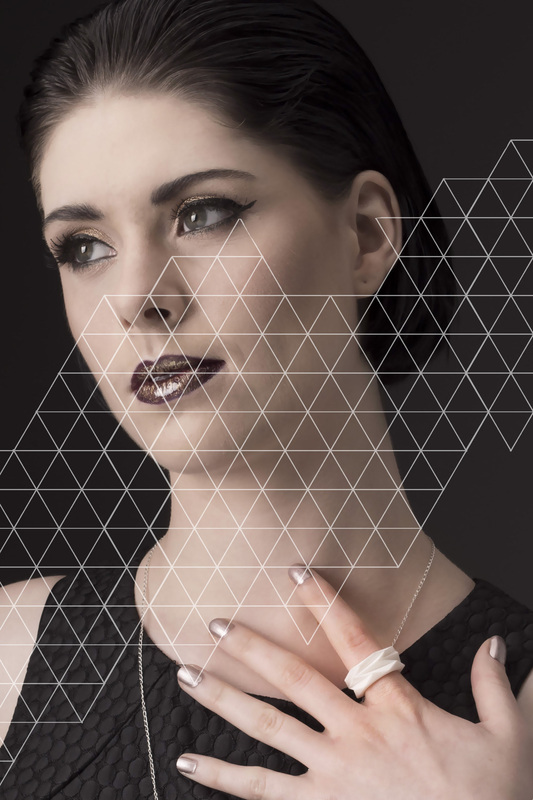 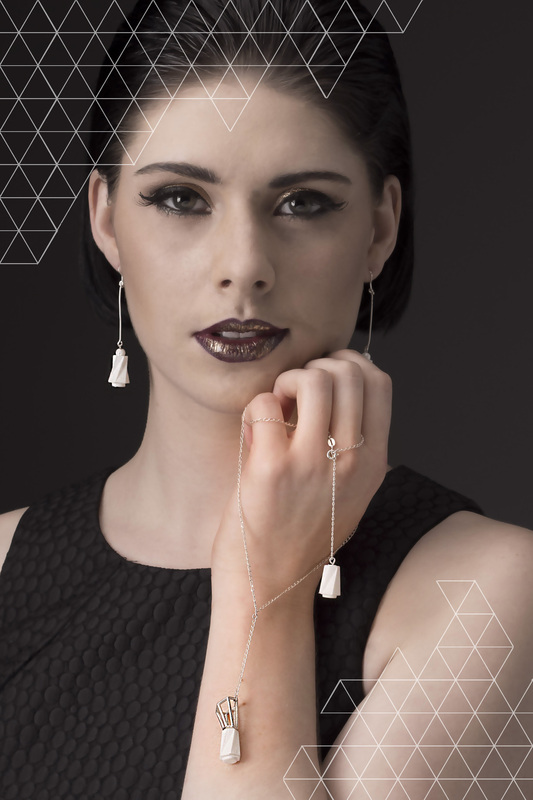 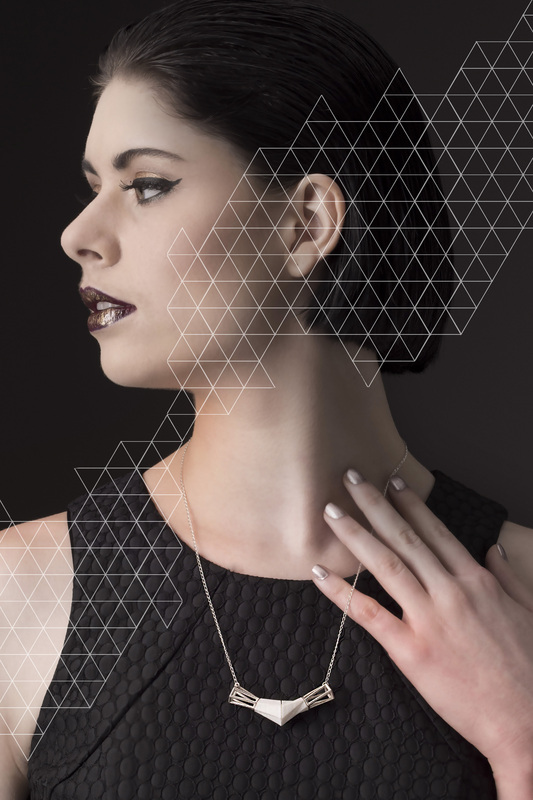 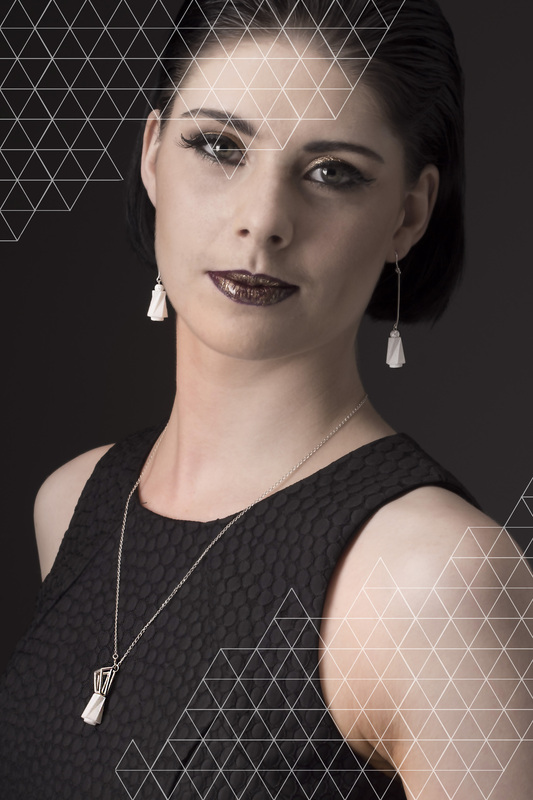 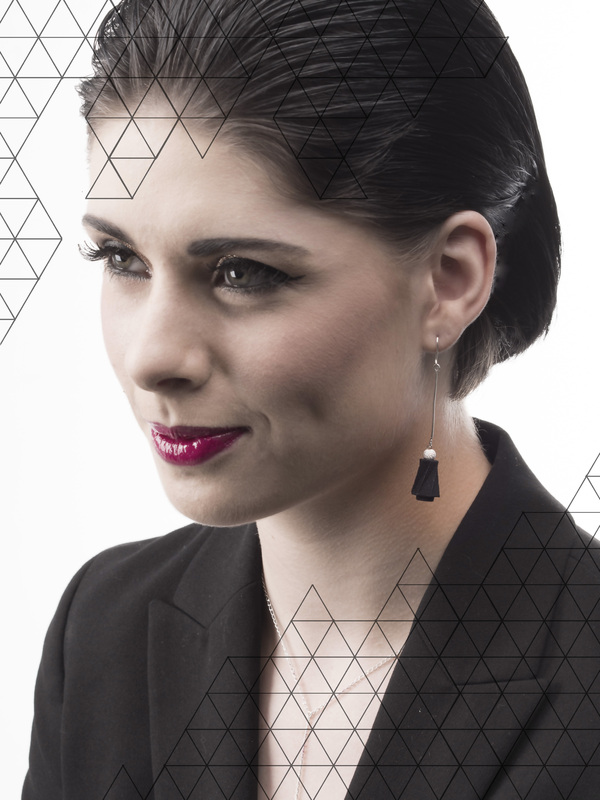 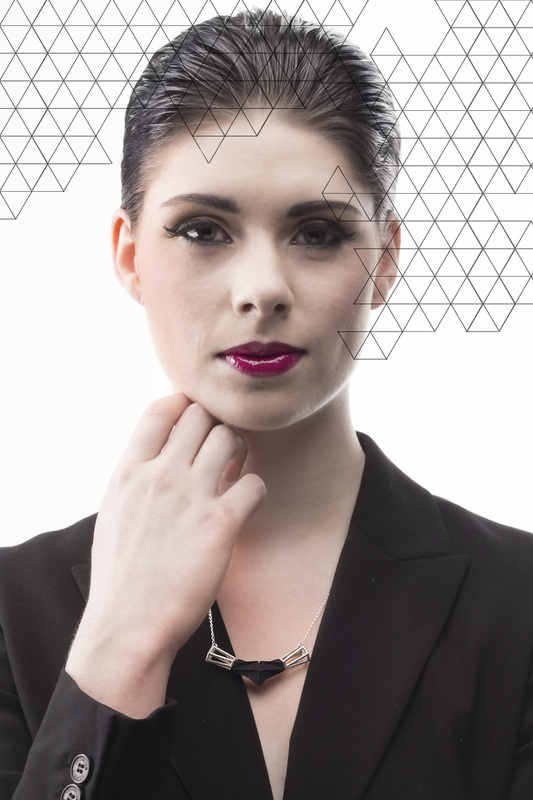 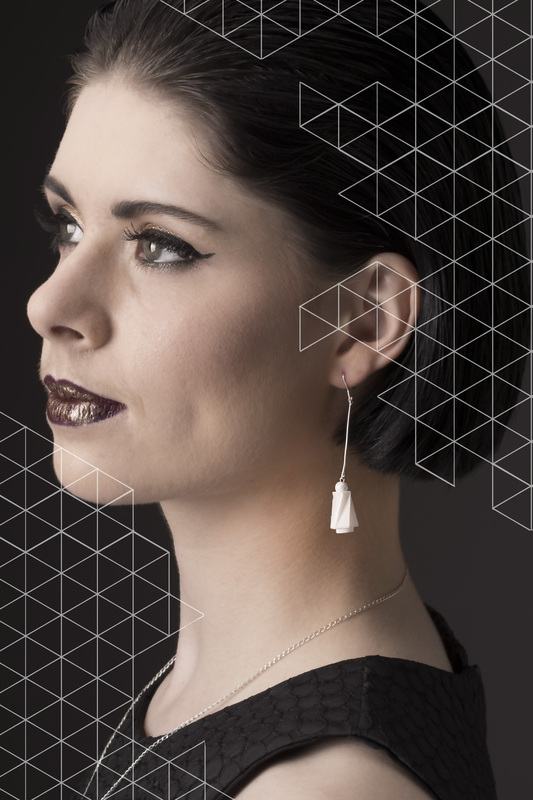 Tessellate union collection now including necklace, ring and earrings. 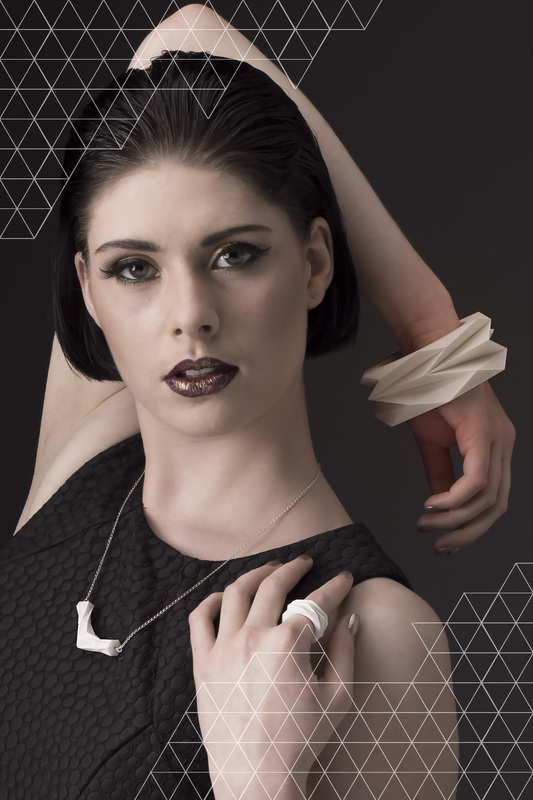 The jewelry collection is assembly with 3d printed nylon part and silver compartment including chain and jewelry parts.